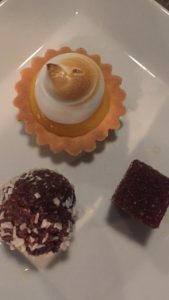 While the name of this fantastic culinary expedition company in Stockholm is called Food Tours it was much more than that. Guided by the amazing Johanna our group of five eager participants learned all about the history of the Sodermalm area as well. 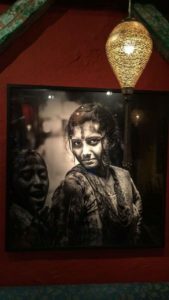 Because it used to be an area where immigrants settled, the food scene is reflected in the myriad of tastes and flavors. In fact during our four hour tour we journeyed to several continents without ever leaving Sweden! 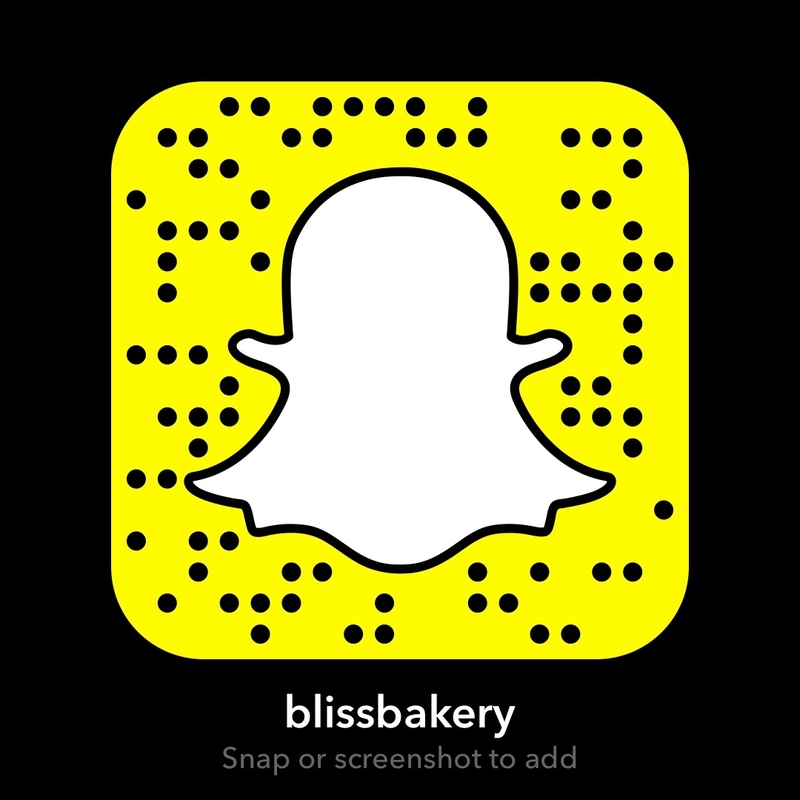 I shared the excursion on my snapchat channel (username blissbakery) though it has since expired. 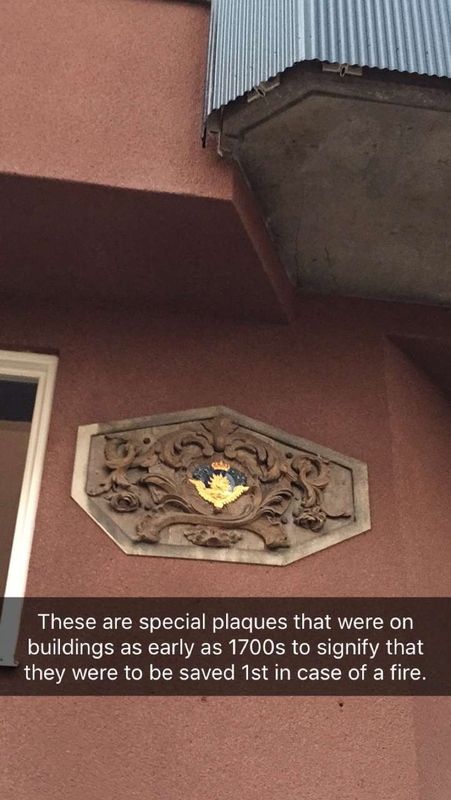 But I took photos from my snapchat story to share on here as well. Keep in mind they are from my phone, NOT taken with a professional camera! But if you read the ABC of YDP you will see my disclaimer. 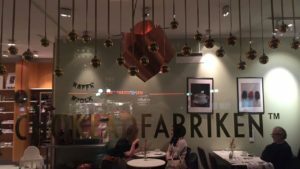 Though the Stockholm suburb of Sodermalm is considered a hipster area with young families and creative types, it is the “go to” place for delicious, clean, and inventive food. 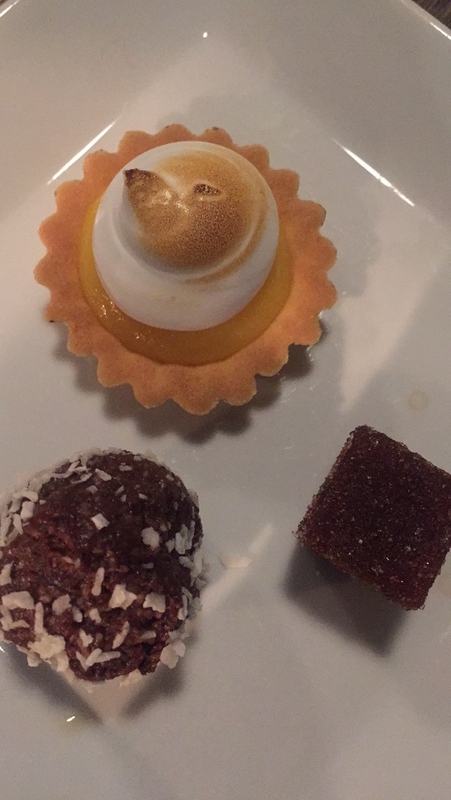 And indeed we tasted all three! Our first stop was the famous Chinese restaurant China. While we sat in the VIP octagon room, we were treated to an Asian Taco! That was my first time even hearing of such a thing. 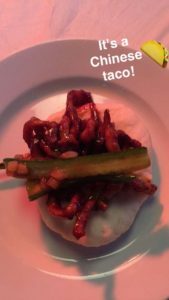 It was a version of Peking duck but made with pork and served on soft foldable “Lotus Bread” and topped with spiced cucumbers. Wow it awakened the taste buds alright! 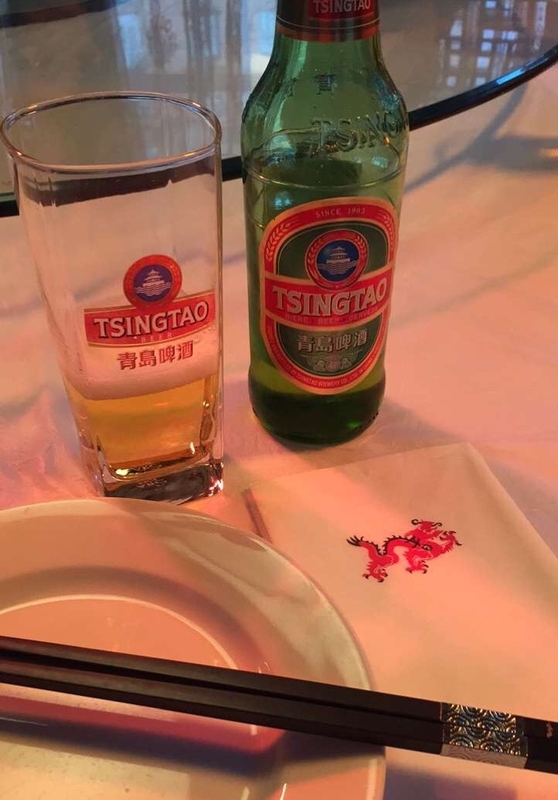 We were able to wash it down with some tasty Chinese beer. This is also the place that Chinese flock to when they are visiting Stockholm to get flavors of home. 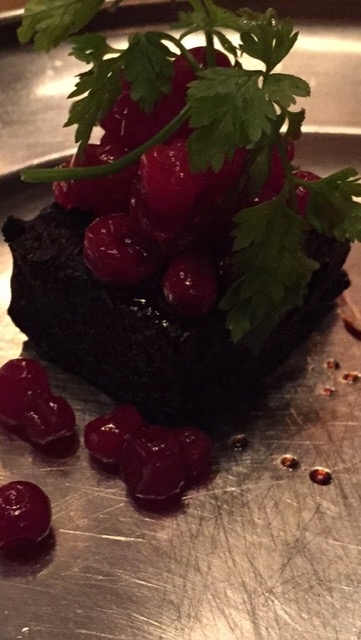 It is no wonder as this restaurant has received a White award which is Sweden’s version of the Michelin Guide. Our second stop was a cool Italian trattoria Piccolo Metro. The owner and head chef is originally from Sicily and is very passionate about his pasta. 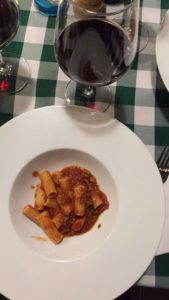 Made by hand in the kitchen each day, we were served an amazing penne pasta with a meat Bolognese sauce that had been cooked for 8 hours! We were also treated to a glass of deep Barolo red wine. Along the way to our various destinations Johanna pointed out landmarks and while our tummies were filled with food she filled our minds with interesting facts. As a Yankee Doodle Paddy (dual American and Irish citizen) I loved learning more about this incredible country! But even the other four guests on the tour (who were Swedish) learned many things as well. 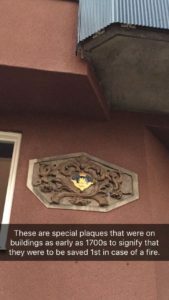 We stopped at Greta Garbo’s childhood school as well as learned about the historic fire insurance crests on certain neighborhood buildings. Shanti was our third stop and it was magical! From the moment we walked in I knew I was going to like it. A restaurant started by brothers of Indian descent, they have a delicious diamond on their hands. 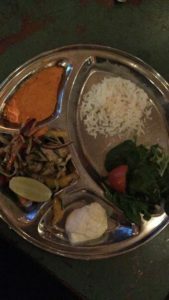 We were served a lovely platter with mouthwatering chicken and several authentic sauces on the side. A masala sauce and a yoghurt riata along with some lovely pilaf rice and salad. It was so healthy and flavorful I adored it! I was happy to learn we were walking approximately 3 km on this tour so I could say I was burning calories for all the tasty food! Urban Deli was stop number four. 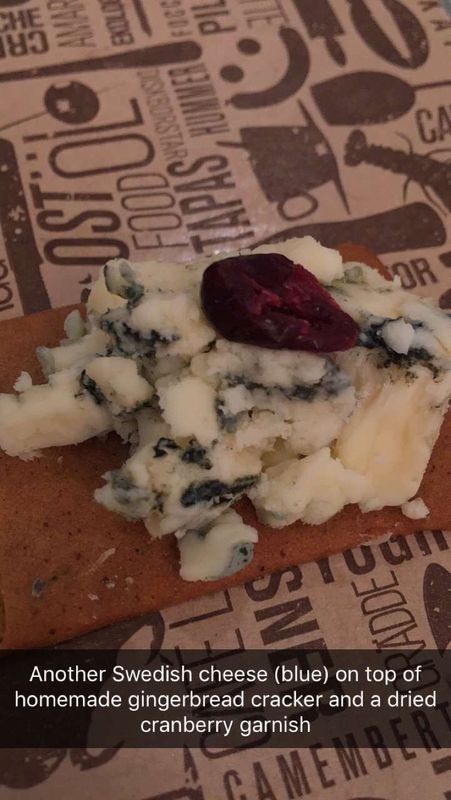 It is fashioned after a New York delicatessen and I was like a kid in a candy story. 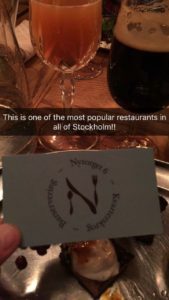 This place is beyond awesome and it is only one of several locations in Stockholm. There is a deli counter, a restaurant and grocery store all under one roof. 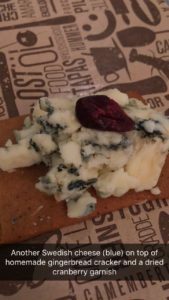 We were offered some wonderful cheese tastings: An Italian buffalo mozzarella cleverly served in a glass jar, a Swedish cheese with an usual truffle honey drizzeled on top, and a Swedish Blue Cheese on a ginger cracker with a dried cranberry garnish. They were all stunning but my fav was the later. 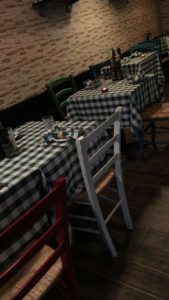 While I hated to leave the Urban Deli as I seriously wanted to pull up a bed and sleep there, we ventured on to our fifth stop. It was just past 4pm and it was already dark. 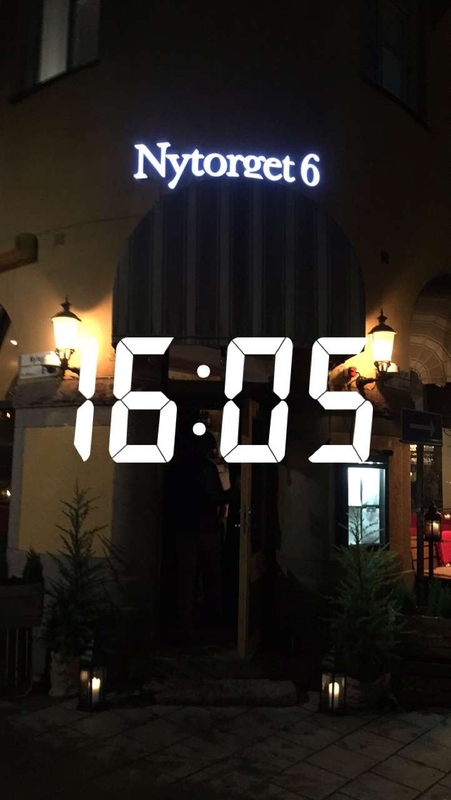 We visited the most fantastic restaurant Nytorget 6 (named this for its address). This is a restaurant that takes Nordic cuisine and gives it a modern spin. We were treated to very special drinks upon our arrival, a hot toddy drink spiked with Tequila, and one of their handcrafted stout beers made with oats. To soak all that up we were served the most amazing platter of pork three different ways. A blood pudding topped with lingonberries (my favorite taste of the whole tour), a slow roasted pork belly with fennel and an Iberico ham that had been rubbed in spices. I can hardly wait to go back to Stockholm to return to this gourmet gem! Location number six was a sweet one. 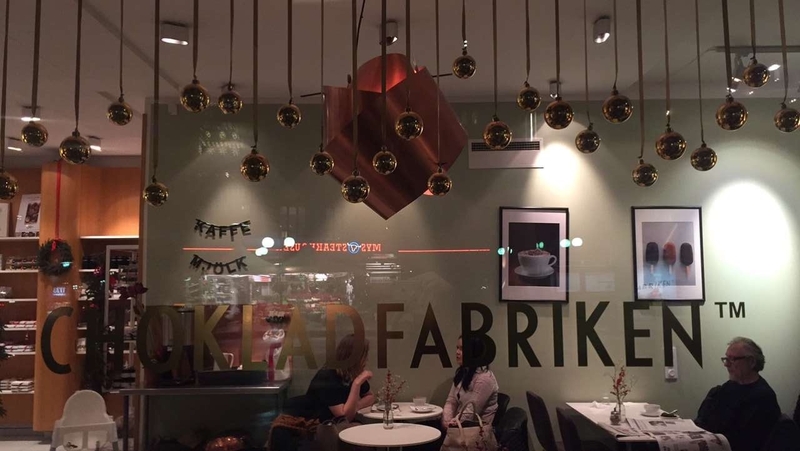 The Chokladfabriken (translated into Chocolate fabric) was a feast for the eyes and the senses. We were served the most decadent hot chocolate and given a square of their famous chocolate treat. 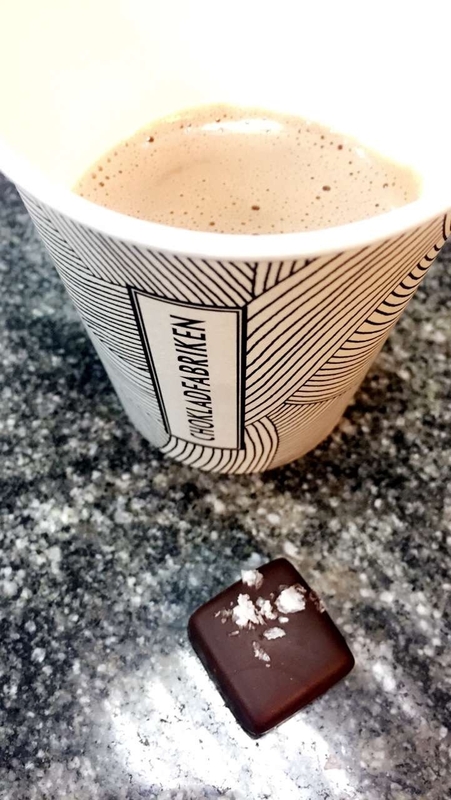 It was a heavenly chewy chocolate covered caramel square with a hint of licorice flavor and sea salt flakes on top. OMG now I know why it is their most popular! 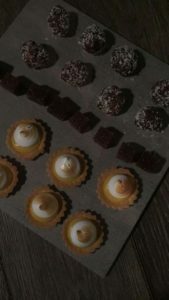 We were able to enjoy this in their kitchen and learn about their success in cake making as well. They have even made cakes for the Swedish Royal Family! 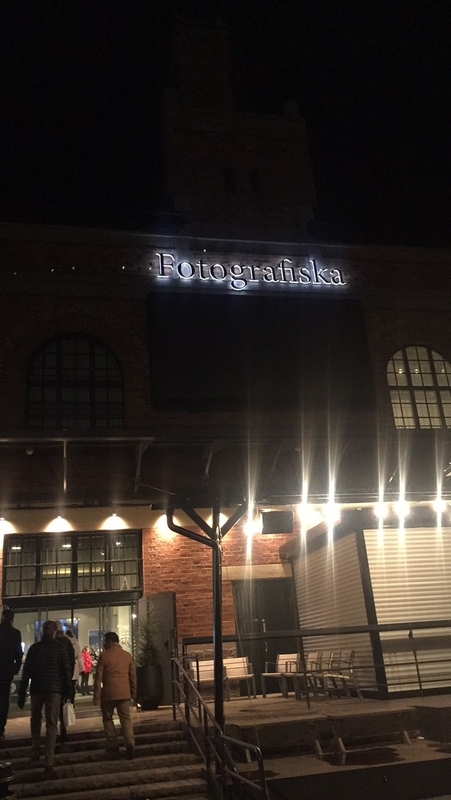 Our last stop was at the Fotografiska Museum. I was so happy as I had wanted to go there anyway. Just for the photographs. I didn’t realize they were so well known for their food as well. Their restaurant is one of the most popular in Stockholm and listed among the top museum restaurants in the world. 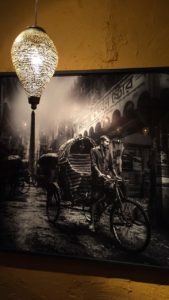 And their cafe where we enjoyed coffee, teas and tasty sweet treats is also pure class! We had lemon tartlets, chocolate coconut balls and mini marmalade jelly squares. While we sat and chatted about the tour and Johanna kindly answered questions, I couldn’t believe the four hours had come to an end. What a fantastic way to spend an afternoon in the beautiful city of Stockholm! I am hoping to go back again very soon. 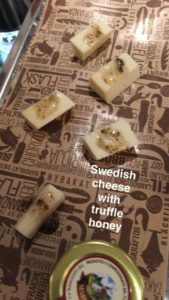 Food Tours Stockholm has numerous tours on their itinerary. 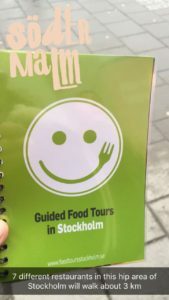 I loved the Sodermalm tour and would recommend it to any visitors traveling to Sweden, Stockholm locals, and I would gladly go on it again myself. There is so much to take in of this rich culture of diversity. And it only wet my appetite (pun intended) for more of the tours they offer such as the Nordic tour. They also host private tours as well. While some groups can be as large as 20, even a smaller group such as ours was equally fun. I am really impressed by Food Tours Stockholm’s professionalism. 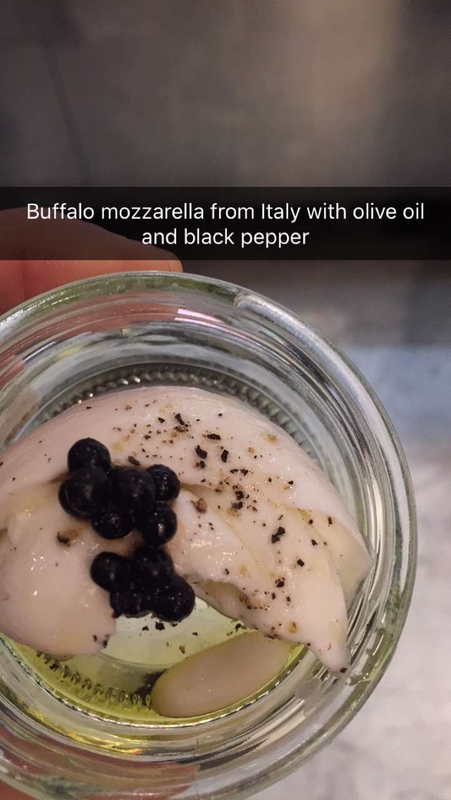 I have taken so many food tours all over the world and this one ranks at the top. The detail and care they take with each guest is commendable. We all received a bottle of their own brand of still water, and a lovely spiral bound notebook, which lists the stops on the tour. And they make sure to look after each guest’s dietary and allergy needs. I cannot recommend them enough! 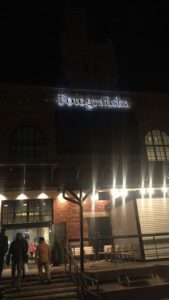 I just want to thank Johanna for her warmth, humor and insight and also applaud the owner Fredrik for a wonderful addition to the Swedish Travel and Hospitality sector. I wish them all the success in the world because they deserve it! Being in the food industry I know competition is tough, but when you offer something special and provide great service like Food Tours Stockholm, then the sky is the limit! P.S. This post is not an ad! I was not paid to write this. These are my own opinions and impressions of this fantastic company.